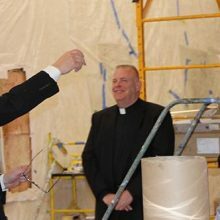 On Thursday November 16th, Monsignor Harrington (Co-Cathedral of St. Joseph), Fr. 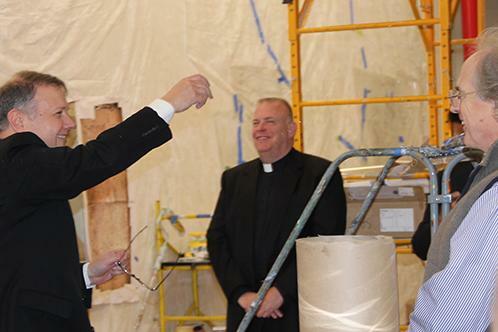 Sauer and Fr. 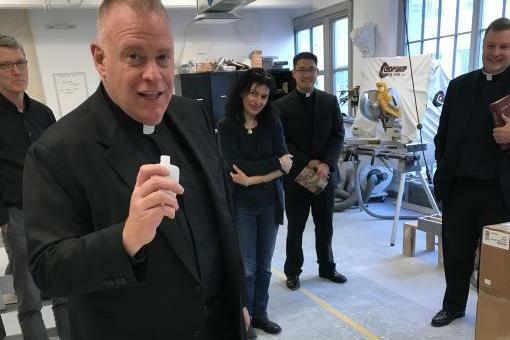 Lee (St. Mel’s, Flushing) blessed EverGreene Architectural Arts’ new studios in Industry City. 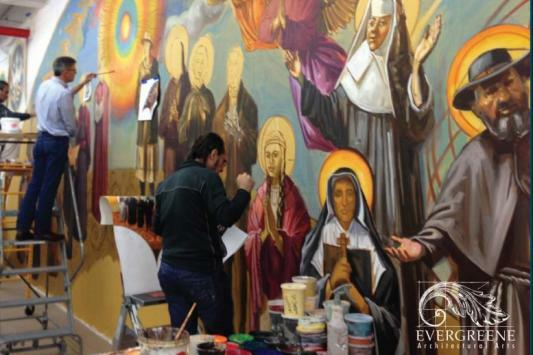 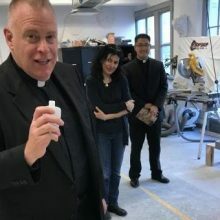 EverGreene (who restored and created new artwork for St. Joseph’s Co-Cathedral in 2013) moved its restoration and specialty construction studios to Brooklyn earlier this year after operating out of Manhattan for 39 years. 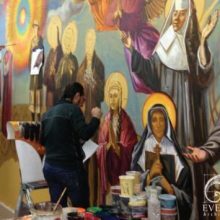 The event included a behind the scenes tour of the design, mural, plaster and conservation studios as well as a reception led by EverGreene’s Sacred Space Director Emily Sottile and Founder, Jeff Greene.